As much as DJs take their time to produce or, at the very least, to search for worthy music, knowing how to sort your tracks is a true time saver and keeps your sets stress-free. Parties tend to be completely different one from the next and if you’re mainly relying on one playlist to do it all, sorting can be wrongly overlooked. 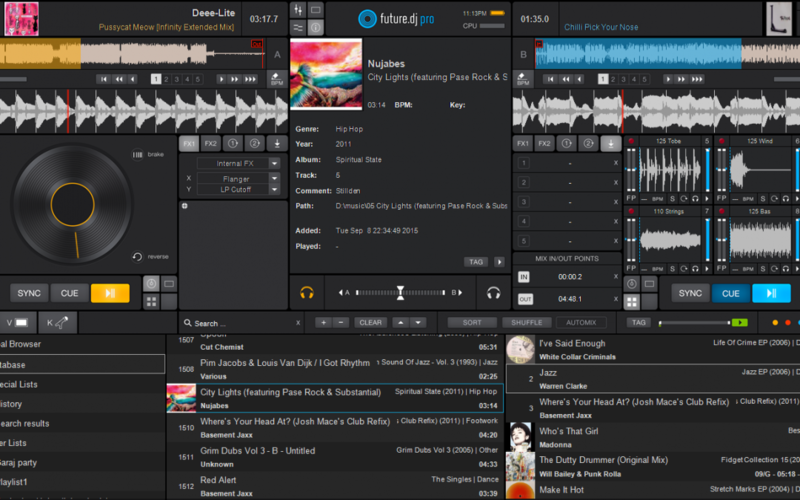 Tracks can be color coded in future.dj and its pro DJ app counterpart; use this to give yourself visual references that aid the confidence with which you browse your songs. DJ sets are first and foremost a matter of knowing what mix works best in a specific stage of the party. Combine this with sorting your tracks by key and you’re halfway to getting your set harmonically sound. 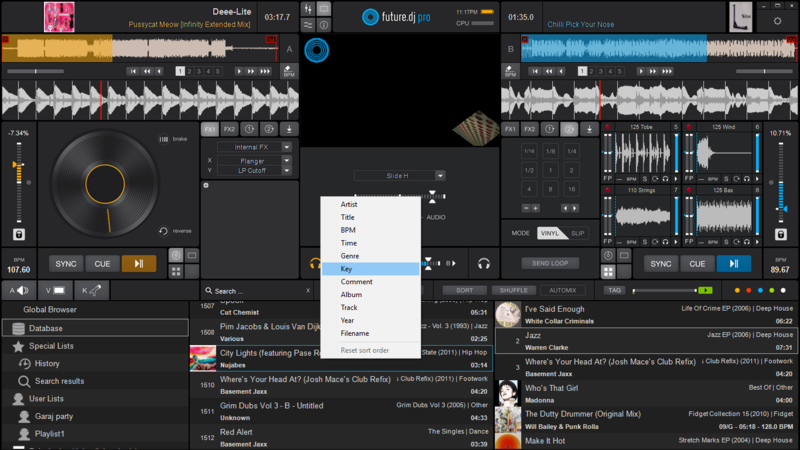 In future.dj pro you can quickly sort your tracks by right-clicking on any song in that specific playlist and selecting key or depending on your preference: artist, song title, BPM, genre, album, track, year, filename. On top of that, you can add comments to any track and sort your playlist by your own custom messages regarding each song. Edit or add a comment by selecting the “info” section of the mixer (as shown in the first image) and pressing the Tag button. After writing your comment, you’re all set to sort and search your tracks in any way that suits your DJ session’s needs.